Contenders who are trying to make a plan to get settled in the Government Sector, it is a Favorable Opportunity. Here we are providing all type of Government Exam syllabus including exam pattern. 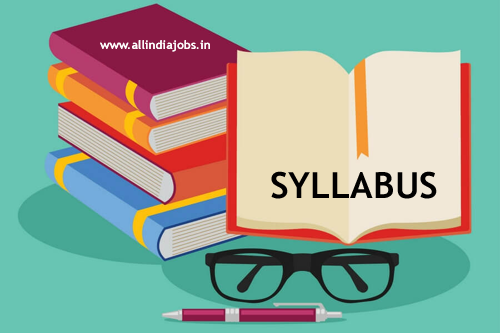 Aspirants who are preparing for the IBPS, RRB, GAIL, UPSSSC, UPSC, APPSC, TNPSC, KPSC, SBI and other exams can get syllabus here. So Candidate can visit our website All India Jobs for the latest updated information. Syllabus for All India Government Jobs is available here in a clear-cut strategy. Candidates can download syllabus in pdf format for all Government Jobs. By practicing these papers, you can reach your destination. There are no shortcuts to success. Time management is also required for these exams. Along with this preparation, Contenders should have to maintain Time Management then only they will fulfill their Desires. NCLT Syllabus Assistant, Private Secretary, Senior Legal Assistant, Record Assistant, U.D.C, Steno Gr II/ P.A, Court Officer, Assistant Library Information Officer, Assistant Registrar, Deputy Registrar, Joint Registrar, Programmer, Cashier. Please say to mi in pwd exam negative marking available or not…. Please tell mi …..